Home Expo News Med-Tech Innovation Expo 2017: Let’s start the show! 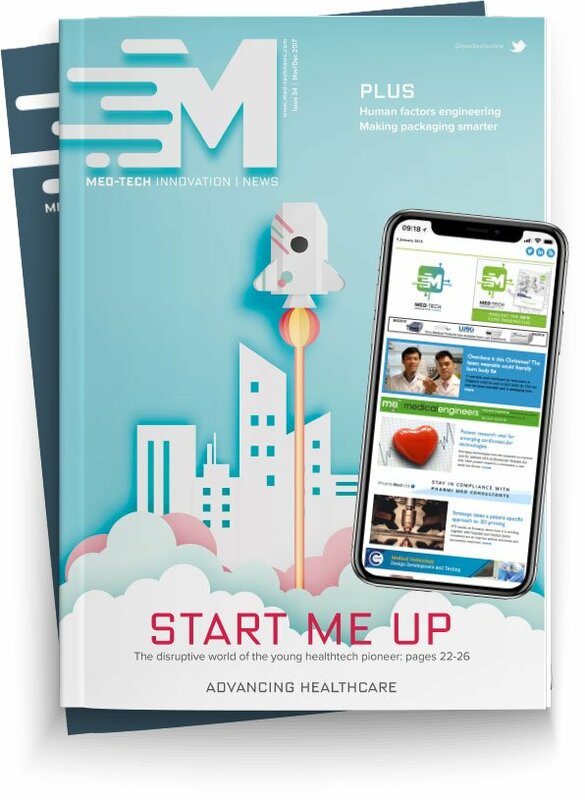 Darren Clark, chief executive at Medilink East Midlands offers an early glimpse at this year’s Med-Tech Innovation Conference, taking place at the heart of the show. For the fifth consecutive year, the MedTech Innovation Conference for 2017 is being run in collaboration with Medilink UK, and we are delighted to be associated with such a prestigious event. Establishing itself as the leading national healthcare technologies conference, this is the event to attend for anybody wanting to stay up to date with trends and developments in the medtech industry, which is experiencing exponential growth, with more companies and more employees, than any other area of the life sciences sector. This conference, which combines experiences from those at large global corporations, with insight from national bodies such as the National Institute for Health and Care Excellence (NICE) and the Association of British Healthcare Industries, is set to be the best yet. Day one will open with a session from the Office for Life Sciences. With Brexit looming and the Industrial Strategy green paper consultation in full swing, there has never been a more critical time for the industry. This once in a lifetime event will impact every single organisation involved in life sciences; find out about the government’s new hands-on approach to ensure the UK continues to be a world leader during this first session. We will also be joined by Tim Hodgetts CBE, medical director at Defence Medical Services. Tim will be providing a fascinating insight into how the Ministry of Defence rapidly adopts game-changing innovation in its work ‘repairing our seriously wounded’ and how this can be applied into the national health arena. For anybody involved in getting a product into the NHS, talks from Device Access UK, ABHI and Academy for Healthcare Science are not to be missed. Get updates on a new industry driven credentialing system which will affect any company engaging with the NHS, and hear tips from Michael Branagan-Harris, CEO, Devices Access UK, who says that achieving national adoption for your product or service isn’t the impossible task it may seem. Whether you’re an established business or you’re just starting out, what better companies to hear from than technology giants such as Philips, Microsoft, Stratasys and 3M. Bill Cruise, vice president, Western Europe 3M and chair of Medilink UK, will open the conference on day two with some thoughts on current industry drivers, and share the experiences of one the world’s most innovative organisations. Sean O’Shea will provide Microsoft’s vision of the digital transformation of the healthcare sector, and additionally how smaller companies can take advantage of the opportunities to partner with Microsoft. The theme of digital health continues with Patrick Strauss, CEO, Illumitas and subject matter expert on the Internet of Things (IoT), exploring strategies for developing IoT in healthcare. Patrick will be followed by Keith Errey, from Isansys, explaining how vital it is to use technology to its full advantage to completely understand medical data. Other exciting speakers in a packed two day programme include Tom Clutton-Brock, chair of NICE Interventional Procedures Advisory Committee, voted one of the top 100 most influential people in healthcare; Giovanni Accardo, business unit director at Boston Scientific, who will give an insight into their revolutionary strategy to transform the acute healthcare pathway; Professor John Fisher CBE, director of the EPSRC Centre for Innovative Manufacturing in Medical Devices; and Dan Clark, professor of clinical engineering at The University of Nottingham and expert member of medical technology advisory Committee, NICE. On behalf of myself and the team, we hope that your visit to Med-Tech Innovation Expo 2017 is a successful one, and that the conference we have put together is of great value to all who attend.